The Ajmal Dahn al Oudh is a diamond cut from nature, containing oudh to present a rich and vibrant texture to the fragrance. The raw overpowering nature of nature's finest opens as the fragrance progress revealing its secrets one by one, as you continue to bask in its deep oudhy animalic texture. About the Brand: A brand with a rich heritage acquired through over 64 years of experience and know-how in the art of perfumery, Ajmal Perfumes proudly presents the finest collection of contemporary fragrances with mesmerizing scents. Perfecting the science, art and craft of perfumery, the brand believes that well-crafted fragrances say a lot about you and the way you exude yourself. Explore the entire range of Perfumes (EDT & EDP) available on Nykaa. 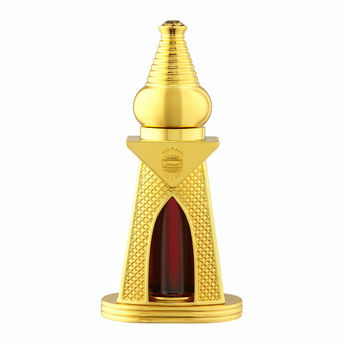 Shop more Ajmal India products here.You can browse through the complete world of Ajmal India Perfumes (EDT & EDP) .